The idol had previously contacted police about the potential stalker over a month ago. We are sending all of our love and prayers to her and her family in this time. OK but ya’ll it has to be said… WHAT IS WRONG?! Because there is something wrong right now in the various fandoms. Now we are not saying that this applies to all fans; we consider ourselves to be VIP’s and ARMY so we do understand being dedicated to your bias’. But with this news today; and yesterdays news of BTS (Bangtan Boys) being CHASED by fans through the streets of Sweden, it has to be said; SERIOUSLY?! These are human beings. Is fame and all of that comes with it part of the deal of doing what they love? Of course. However having to fear for your physical safety because a “fan” does not realize where boundaries are or has created an imaginary relationship with you in their head; is something else completely. In this day and age of instant gratification and entitlement these fans believe that they DESERVE to have a piece of their favorite idol. No matter the situation or how it affects the idol they have so come to respect. And in the case of Tomita Mayu even serious injury. We hope that the companies that represent these young adults are watching and setting up more security for them and taking these threats seriously. As mothers we cannot imagine how the families must feel and our prayers are with Tomita tonight and we ask for all of you out there, seeing your favorite band on the street and in public to remember…. THESE ARE PEOPLE. NOT ANIMALS. You may have bought their album but they don’t owe you any more than anyone else in this world. Be respectful and most of all be safe. There is no call for this. Be responsible to yourself for your actions so that we can all enjoy the privilege of seeing these artists out in the public and making the music we love! Hi all!! Please watch BTS’s latest MV with us. It was amazing and everything I wanted from BTS after ‘Fire’. Watch the original at Bighit. We hope you enjoy! We know we do! Congrats boys we love this song and M/V! We recently did a reaction video to Seventeen. All I really knew about them is that they are a popular rookie group, the young girls are crazy for them, and there is REALLY 13 (it just looks like 17) of them in the group. I need to know more… so let’s do it together! There are 13 members in the group, not 17. 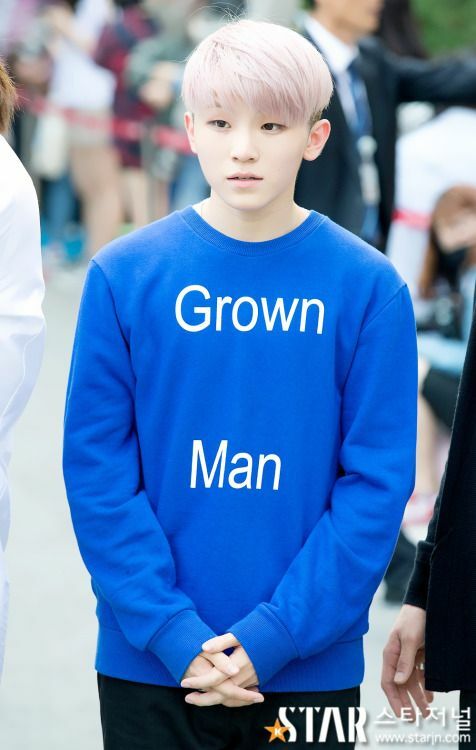 Carat is the name of their Fandom.. Go Carat’s!! In honor of our first reaction video going out this week to BTS’ – Fire (CHECK IT OUT HERE) our Maknae Monday profile is on The Golden Maknae – Jeon Jungkook from BTS. Why he’s called the Golden Maknae – He was supposedly recruited by 8 companies (although only 5 are confirmed) He’s on of the lead vocalists with Jimin, sub rapper to Rap Monster and sub dancer. So B and I did our first reaction video to BTS Fire. I noticed that Jimin was wearing this Saint Laurent jacket that I just knew I had seen Bigbang’s Seungri in before. I also noticed that Suga had on a hawaiian print shirt that I had seen G Dragon wear. So okay fine… I dropped it (had mom things to do, ya know?..). Well today I am scrolling through my V app and see the same damn ugly (sorry don’t like it) jacket on someone else… So I did some research. AND now I give you Kpops love for this damn jacket and shirt. First and most important… I give you Seungri, the original wearer of the ugly jacket. Next is Bambam from Got7. Believe it or not he was in a Vogue article about this jacket! That would be Vogue US.. Going global! Next we have Jimin of BTS stardom. And JUST for shits and giggles… I give you Justin Bieber wanting to look like a Kpop star. Now for the shirt. First there is G Dragon starting things off at the 2016 Mamas. Mino from Winner just might have stole this out of YG’s closet… so he gets a pass. And last but certainly not least is Suga in the BTS Fire Video. Saint Laurent must have sent his collection to every popular Kpop boy band. Well done Saint Laurent… Well done. So here I go giving you another peek into the wonderful world of my brain. This would have just kept bothering me till I told someone all about it. Because SOMEONE needed to know… so…. JUST KIDDING! That’s not us! Looks Just like us right?! Fan Service Friday – NYONGTORY!!! Ode to my favorite shipped couple. GDragon and Panda (Seungri). They posted this pic on instagram today. 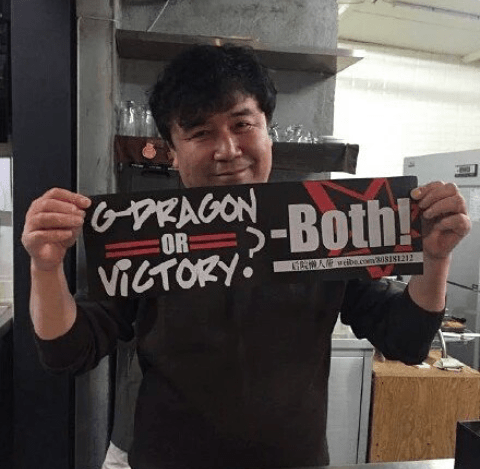 Seungri’s Dad with a Nyongtory banner… I mean really; c’mon people! Thanks to all in Fukuoka for all the wonderful and fun times yesterday! I was surprised by the increasingly warmth welcome and enthusiasm! We also ate the #Motsunabe at Daesung’s recommendations and we are now headed to Nagoya! See you again! And then THIS BigBang treasure trove of messaging that apparently they ALL found funny. Real funny boys. Help a mama out! GD: Hyung when are you coming back? Taeyang: And Seungri got more talkative… Because hyung is not here. TOP: It is the natural law that rabbit will take over the reign when the lion is not around..
Short story is… A bunch of THIRSTY Dallas Got7 fans snatched up all the good tickets in 5 MINS. Yes!! 5 Mins. That right there should tell you about the power of Kpop in America. I hadn’t been so bummed out about anything in a long time. I had plans to surprise Little Lady with tickets to meet her bias and my bias-in-law (aka Jackson). I was hoping to tell Bambam/King of the Dab to stay in his lane and quit coming for the Little Lady’s feels… Because I am starting to think that someone that dabs that much might have questionable morals…. Youngjae – Ball of sunshine with the voice of an angel… Just look at that. 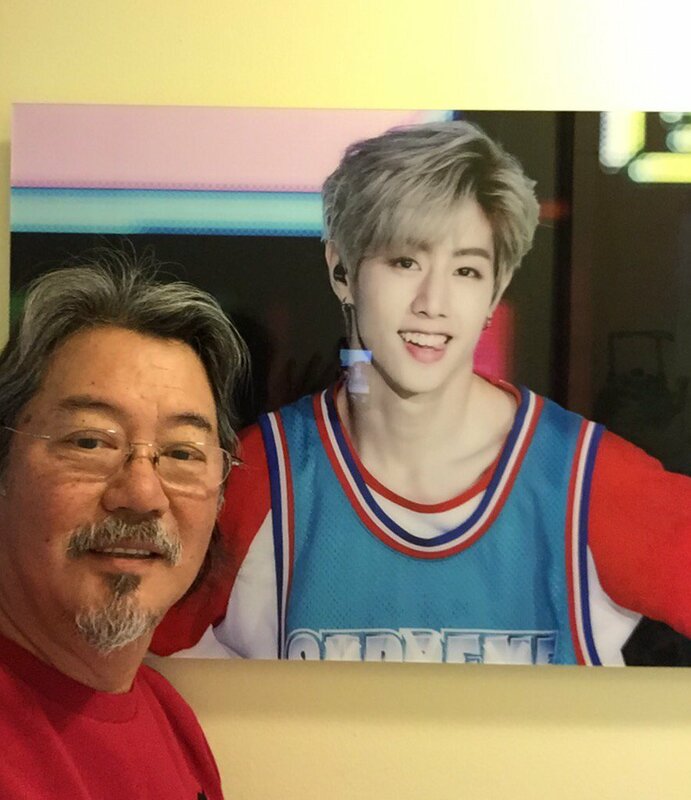 Mark Tuan – Repping the US in Korea!! Oldest Hyung… I love your dad!! Last but not least JB/Jaebum – Leader Hyung. Get well soon! Rest lots and eat well. PS. You are my bias… WHAT??? Ajumma’s get to have bias’s too! WHAT ARE YOU DOING… WHERE ARE YOUR HYUNGS????? 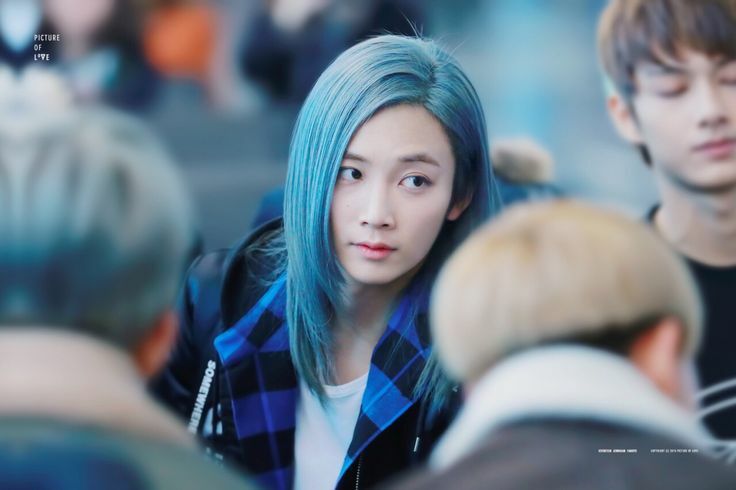 EVIL Maknae – You might just think he is older than his Hyungs…. Cute Maknae – Squishy Cheeked youngest baby. You do you young man. 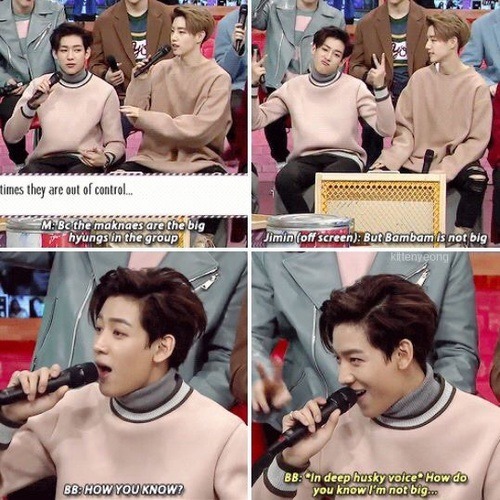 Your Hyungs love you and so do IGot7. Keep those cheeks squishy. Check Out Our Latest Reaction Videos! Kpop Reaction Videos from Kpop Mamas!